EDIT- I have a Hotter discount code for you! Please see the end of this post for details. 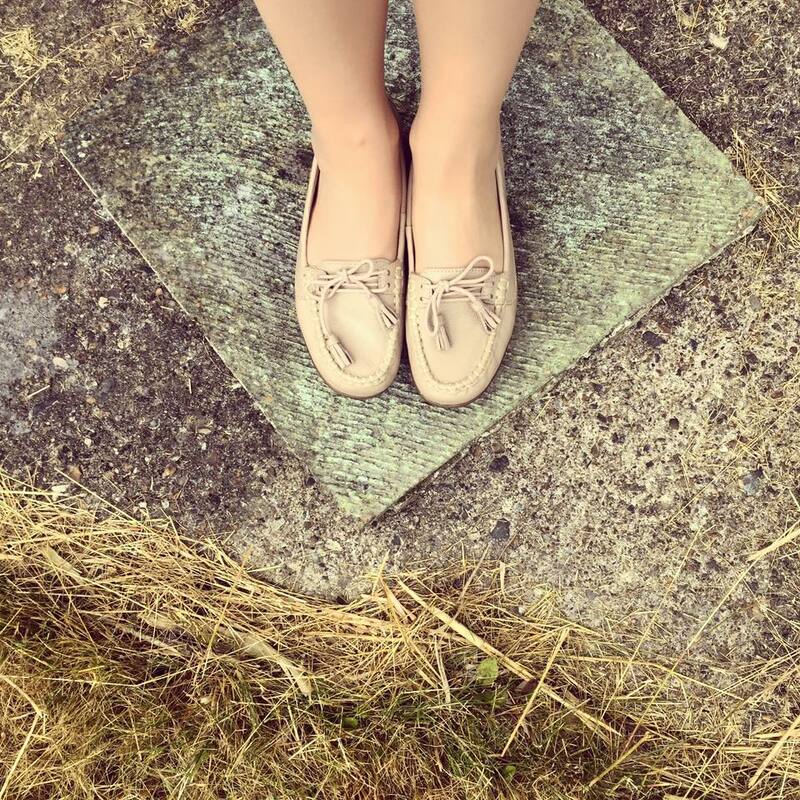 When you hear the phrase ‘comfort footwear’, what goes through your head? For me it was always clunky, bulky, clumsy shoes which, naturally, prioritise substance over style. Shoes which were designed for someone 40 or 50 years older than me. But at 22 and with chronic foot pain (the most recent theory from my doctor is Morton’s Neuroma), my days of flimsy footwear are numbered. I love shoes. I really, really do. I couldn’t tell you exactly why, but there’s something about a beautifully designed and made shoe which draws me straight to it. But it’s at the point now where I don’t want to spend my days with blinding pain in my left foot after wearing shoes which have no support. This is where Hotter comes into the mix. 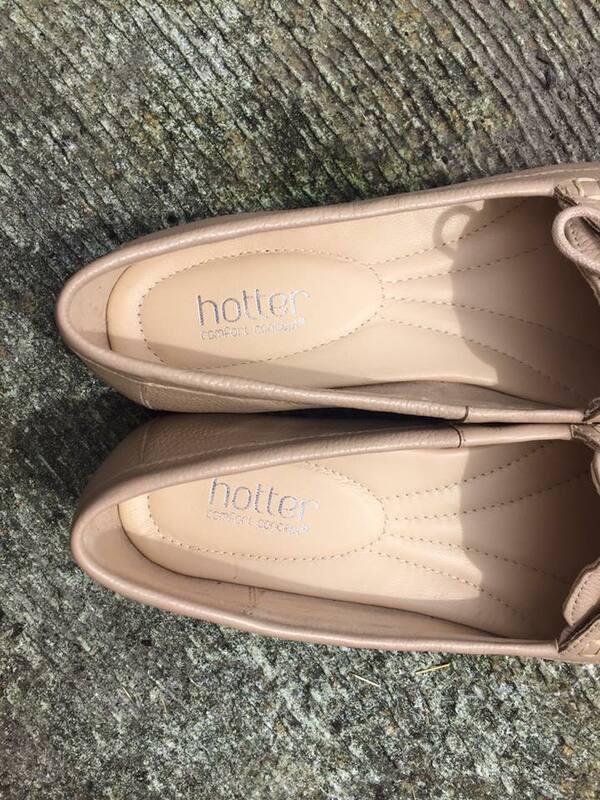 If you don’t know them or haven’t come across one of their 70 nation-wide shops, Hotter is a Lancashire-based family company which aims to combine comfort and style in their footwear, which just makes my heart sing. 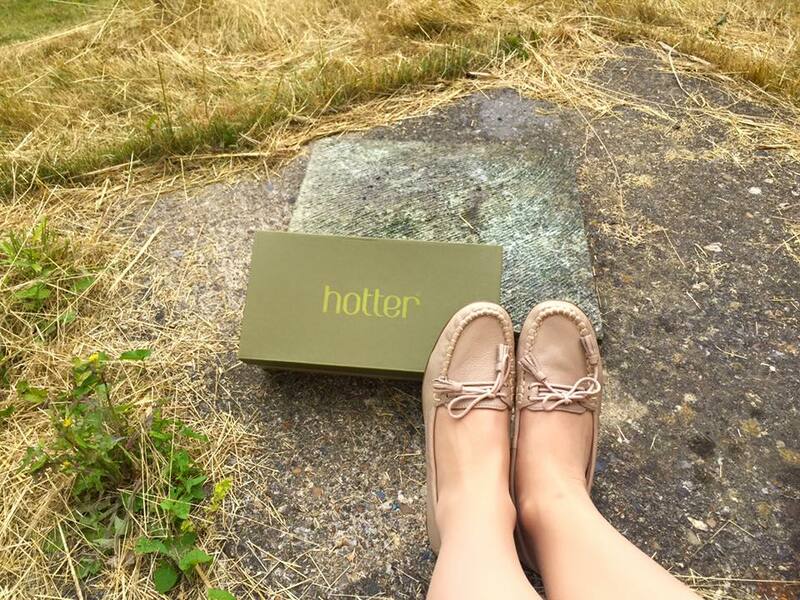 And so when looking for a lighter summer shoe option, I turned to the Hotter sale and found these Honiton moccasins in beige. They came in at £45, reduced from £59, and there was a promotional code which gave me free delivery. Delivery was also really swift, with this pair arriving first (yes I ordered two pairs of shoes…who can resist a sale?) and the other pair still to come. 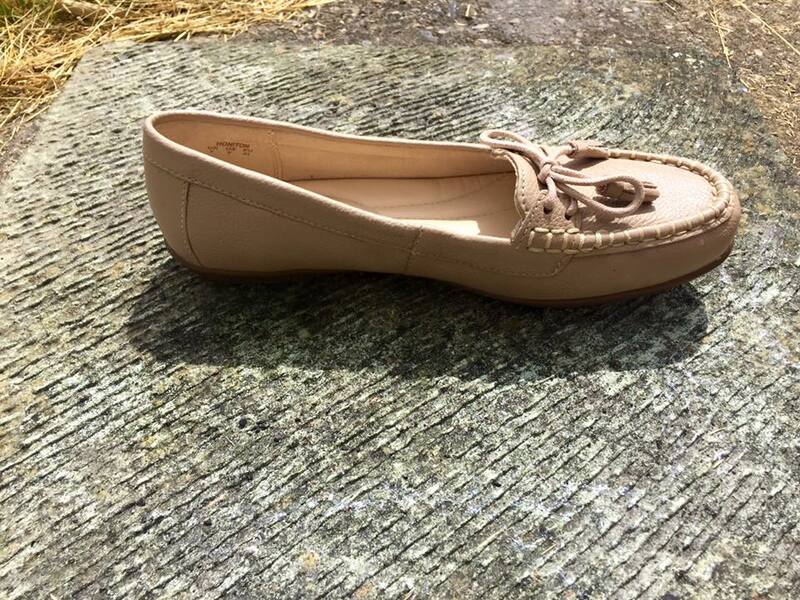 They look even lovelier than in the original website photo, and I was happy to find that the leather is sturdy but soft, with the beige tone being both understated and elegant. 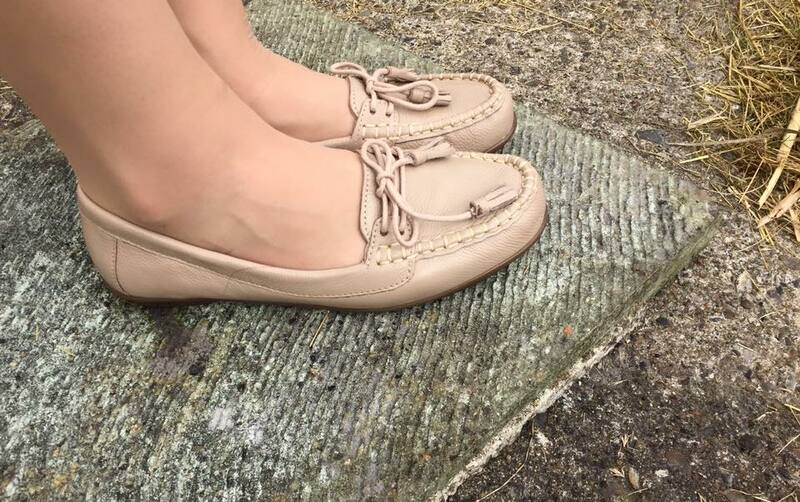 I noticed the comfort difference as soon as I slipped my feet into the moccasins; the support is evident and your foot feels protected without feeling restricted. Moreover, they don’t feel age specific. 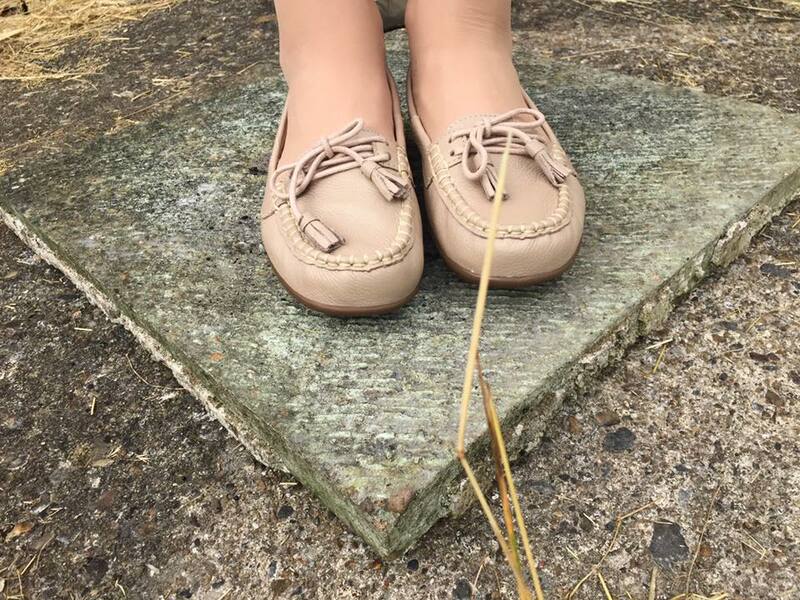 I did a bit of research to see what other bloggers had said before I bought them, and although their ages varied, the way in which they styled the shoe with the rest of the outfit showed its versatility. I live in skirts and dresses, and I feel that these could be worn with many of my existing outfits. I always try to buy things which I reckon will coordinate with what I already have in my wardrobe, and since these are quite versatile because of the style and colour, I think they’ll be right at home! In terms of the comfort aspect of the shoes, you can see the sections sewn into the inner sole below, which feel light and cushioned underfoot. 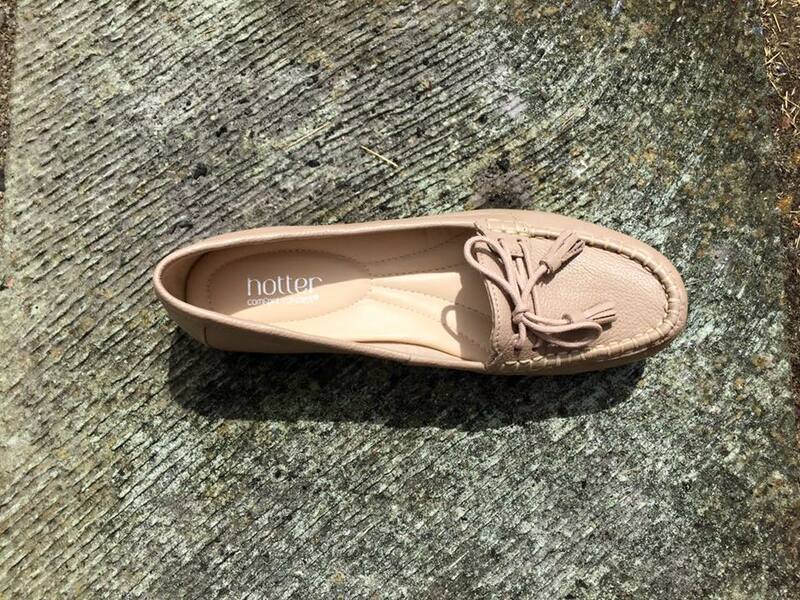 They’re also subtle, and from the outside you wouldn’t necessarily know that these shoes have your best interests at heart when it comes to comfort. 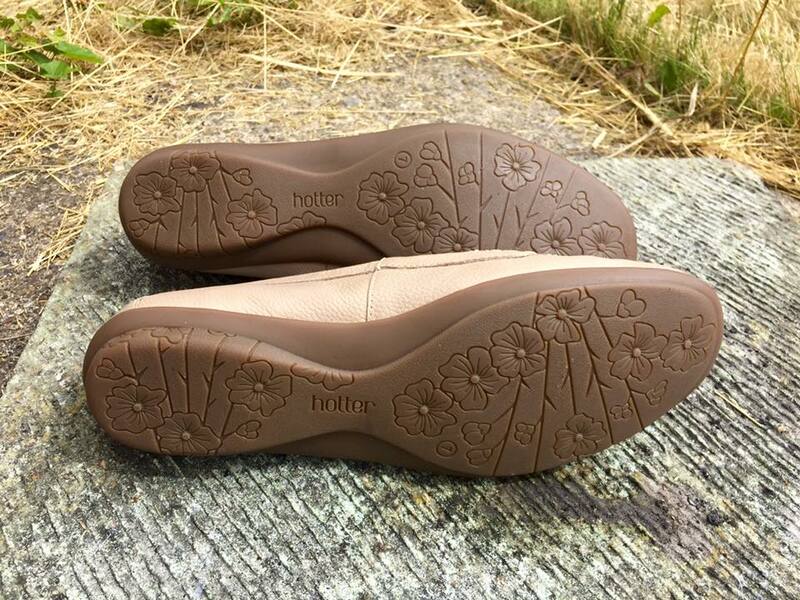 The soles are a dark taupe with a floral pattern and feel very flexible. It’s as if the shoes are designed to move with you, not for or against you. 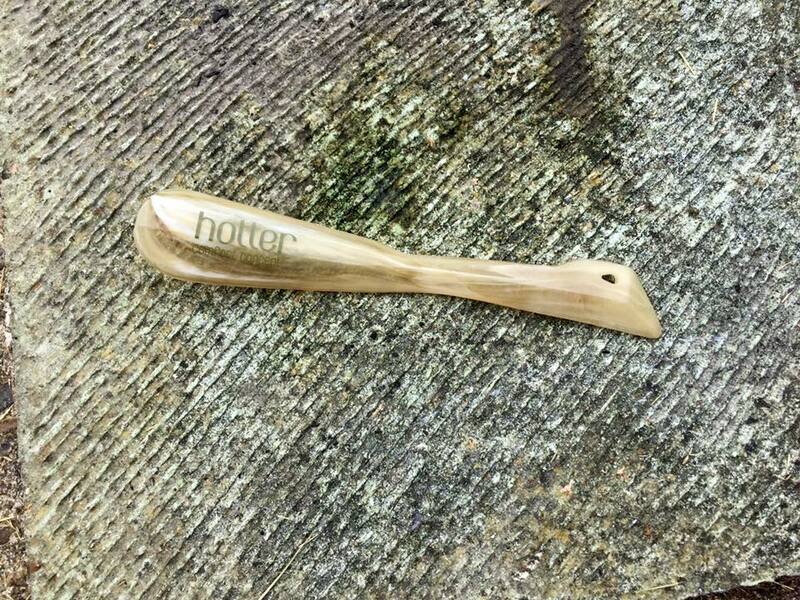 Oh, and a free shoe horn came with my order. Thank you, Hotter! In terms of sizing, I wear a European 41 usually, which is, more often than not, a UK size 8. However, in Hotter sizing it’s a 7 (I’m not going to complain, wearing a smaller shoe does go some way to making you feel less insecure about the size of your feet! ), so make sure to check their size guide on the website. Half sizes are available, in addition to extra-wide options if you usually find shoes on the high-street a little too narrow. I have slightly wider than average feet, but not to the extent where an extra-wide option would be necessary. 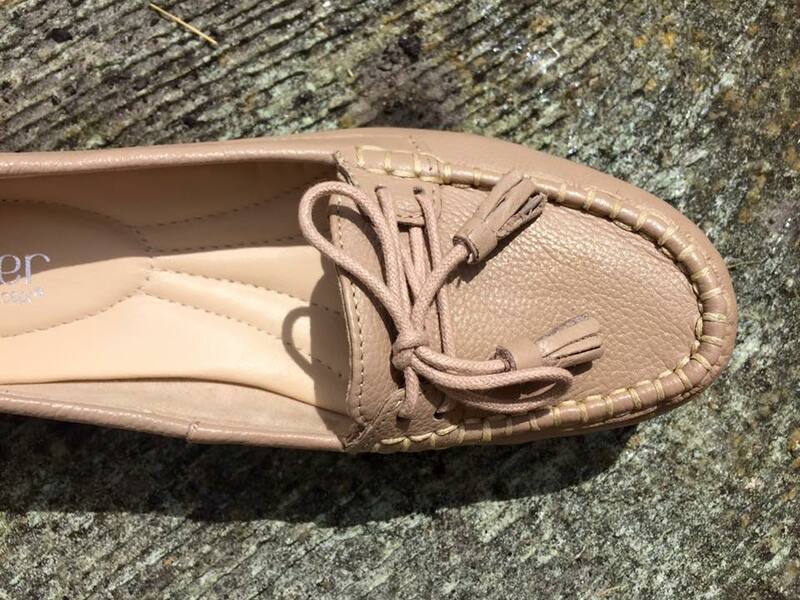 I found the Honiton moccasins the perfect width, and even if I happened to wear slightly thicker socks or tights I still think that the fit would be fine, and the leather may well give. They haven’t rubbed as much as other new shoes often do, which has made for a lovely change. They do feel like they need to be broken in a little more though, but with a bit more wear I’m sure they’ll feel like a second skin. I’m really pleased with these, and I think they fill a style gap in my wardrobe. 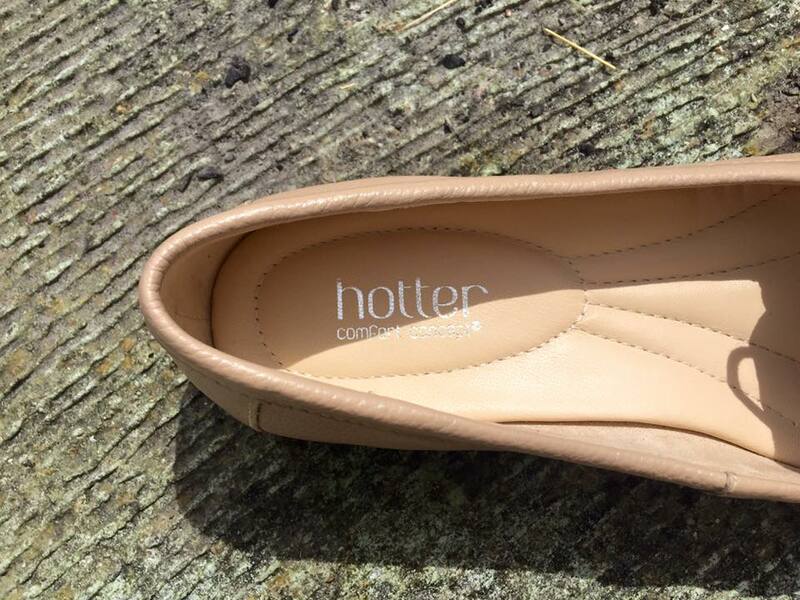 If you’re after ‘sensible’ shoes which don’t make you feel old before your time, then check out Hotter. You never know what you might find! Follow the links for Hotter’s official website, Facebook page, Twitter and Instagram.